Aging is a natural process and though it’s one that we should all embrace, premature aging isn’t. Aging skin loses its suppleness and elasticity and this is characterized by the formation of wrinkles and fine lines. Aside from sun damage, other factors that can age you include toxic beauty products, stress and excessive alcohol consumption. Thankfully, there are natural remedies that can help to reduce the appearance of premature aging such as wrinkles and sun spots. 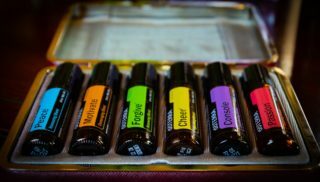 Essential oils have quickly become a staple in many lives due to the plethora of benefits they bring. That being said, it should come as not surprise to discover that the oils listed below can help reduce the appearance of aging skin. Made from argan fruit trees, argan can help combat the drying effects that aging has on the skin, effectively reducing the appearance of wrinkles and improving the skin’s elasticity, which then encourages a more youthful appearance. Moreover, argan oil can also be used on cracked heels. One study published in the journal Clinical Interventions in Aging, revealed how argan oil improved skin elasticity in postmenopausal women after they had used it daily for a period of two months. Sun damage is often responsible for the first signs of premature aging, which is why it’s also important to wear sunscreen. Another way in which to prevent the skin from the effects of environmental aging, is through the use of carrot seed oil. 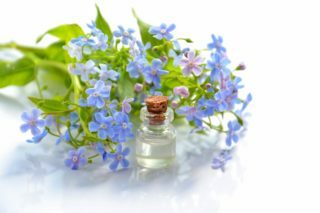 This essential oil is rich in flavonoids and carotenoids both of which can help to prevent inflammation, regenerate vitamin A and E to repair damaged skin and protect the skin from sun damage and other free radicals. The skin around the eyes is the thinnest part of the body, and as a result, it is often the first place to show signs of aging. Clary sage oil is an essential oils that has astringent properties which allows it to encourage a refreshed look as it reduces sagging around the eyes as well as dark circles and fine lines. As our bodies age, they no longer regenerate new skin cells, luckily frankincense reverses this process by encouraging the growth of new cells. It also addresses age spots, sun spots and splotchiness, evens out the skin tone and boosts skin elasticity all while tightening the skin. Made from the delicious fruit of the pomegranate, one study highlighted how pomegranate oil may reduce oxidative stress, and by doing so, prevent the formation of wrinkles. 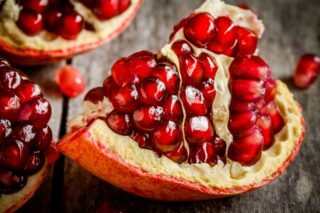 Like the fruit, pomegranate oil is high in antioxidants (which then helps protect the skin against free radicals as well as encourage new skin cell regeneration) and vitamin C. The presence of vitamin C means that the oil can help stimulate the production of collagen, which can then increase the skin’s elasticity. Made from the world’s most romantic flowers, rose oil can help brighten up dull, aging skin. Not only does the oil stimulate blood flow to the skin, which encourages a youthful complexion, but it also encourages the production of collagen in the skin. Made from the seeds of the rosehip plant, rosehip oil is extremely rich in the essential fatty acids oleic, gamma linolenic acid and linoleic as well as vitamin C.
The combination of vitamin C and the fatty acids boosts collagen production prevents any premature signs of aging. Always do a patch test on a small section of your skin to see how your skin reacts to the chosen oil. Symptoms of an allergic reaction include hives, runny nose, redness and sneezing. 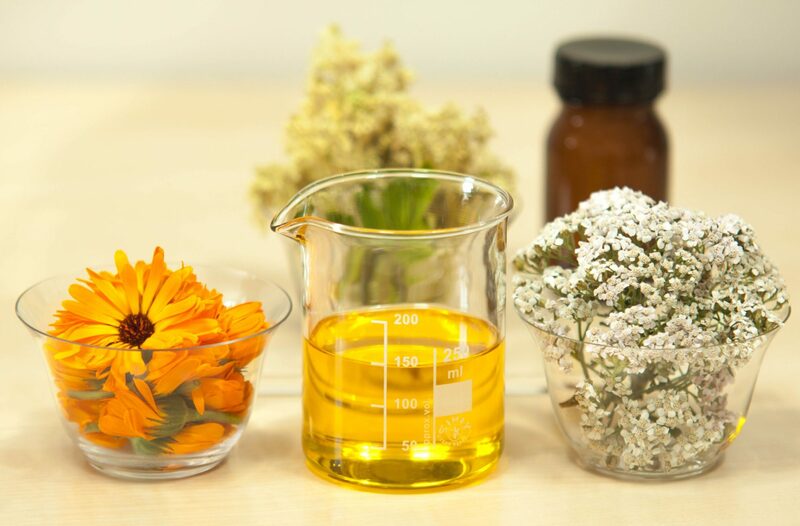 Always uses a carrier oil, as this will not only make the product last longer but a carrier oil can also reduce the risk of the essential oil irritating your skin. Carrier oils such as coconut oil, olive oil, avocado oil and almond oil work well. Always opt for high quality, natural, and 100% pure essential oils. 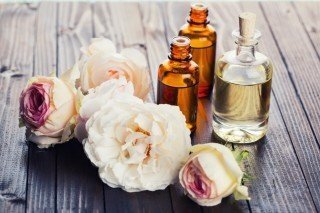 Essential oils can be a great addition to your beauty routine, but there are other easy ways to ensure that one ages as gracefully as possible. These include staying hydrated, regularly using sunscreen, avoiding excessive sun exposure and minimizing your exposure to stressful environments. Following a healthy, balanced diet can also encourage healthy, graceful aging. Click here to find out if any of the foods you’re eating are aging you.